At Rapunzel Creative, we believe that impactful marketing often requires multiple forms of advertising. When promoting your business or nonprofit it may be necessary to combine several forms of advertising like digital, print, email or PR to create a repeated message that effectively generates sales and leads. As a full-service marketing firm, we provide the following traditional marketing services to help you brand and marketing your company. As traditional as it gets, print advertising encompasses developing print ads and advertorial content for newspapers and magazines. Today, many publications offer an advertorial package that includes a print ad adjacent to sponsored content about your business or area of expertise. 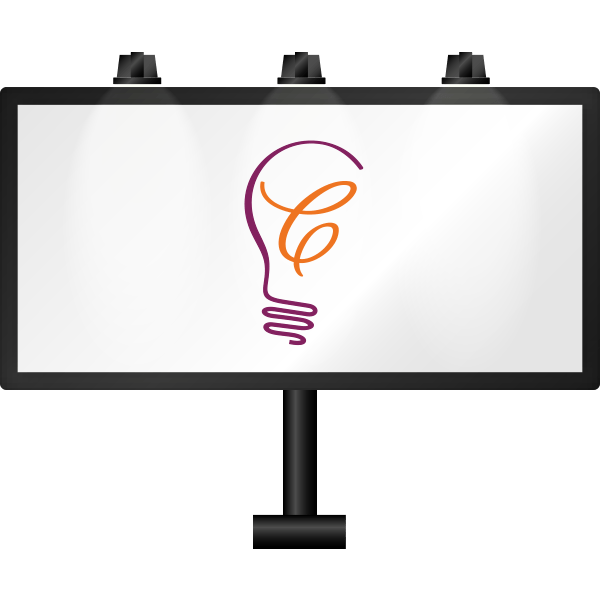 Rapunzel’s team of designers and copywriters will create innovative content to reach your target audience from billboards to static and electronic signage. Highly effective and targeted, direct mail is a great way to extend a discount, introductory offer or special event to new or existing customers. When combined with other techniques like social media and email marketing, direct mail can engage customers. For nonprofits and first responders, direct mail is a powerful tool to solicit donations and to communicate updates and events to supporters. First impressions are everything. Present your business, products and services with a clear and beautifully branded sales or welcome kit. Rapunzel Creative designs beautiful folders, flyers, brochures and information packets that will differentiate you from your competition and close those coveted sales. Newsletter, flyers, handouts are all helpful tools for marketing your business. Our creative team is ready to roll up their sleeves and design the perfect materials to market your business or event. Traditional advertising often plays a role in multichannel marketing strategies. Rapunzel Creative will custom-design a strategy to meet the unique goals of your business. Our services include digital marketing, social media, graphic design, website design, email marketing, print advertising, SEO, direct mail, sales materials, copywriting and blog development, just to name a few. Our portfolio of corporate clients includes companies and organizations in the fields of healthcare, insurance, automotive, financial services, credit repair, real estate, nonprofit charities, law firms, service providers, tourism, fitness and more. We work with B2B and B2C companies located in New Jersey, New York and Connecticut who are ready to make an investment in their business identity and marketing. Give us a call at 877-709-3456 for a consultation.